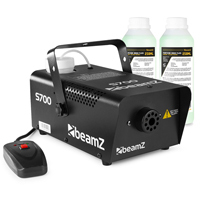 Little preparation is needed for this great special effect: the 700W smoke machine from Beamz is a fog maker with compact design, delivering a misty serenity to your house parties, small events and venues alike. Ideally for use inside and impressively filling smaller rooms or areas; this machine will generate voluminous mist clouds and elevate your house parties and get-togethers to the next level. 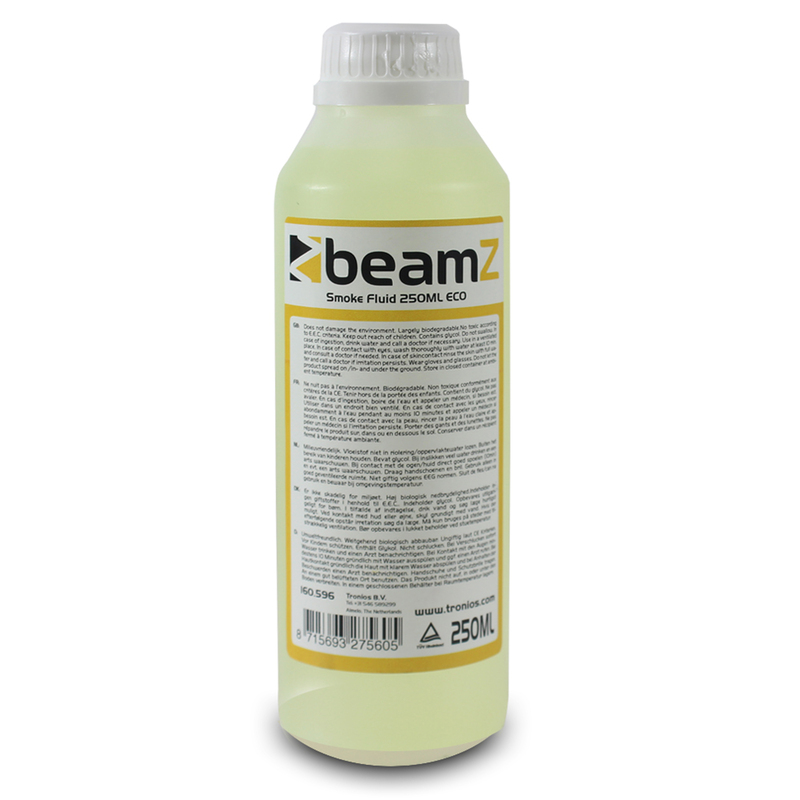 The machine comes with its tank already filled for a single use (500ml), as well as two extra 250ML bottles supplied in this package; so if you've got more events creeping up (any spooky halloween parties planned this year?) then you'll be fully stocked up! A boast-worthy unit; well-designed and complete with wired remote so fog emissions are controlled throughout the night.